The new committee charged with running one of Birmingham&apos;s most prestigious award ceremonies has been unveiled. 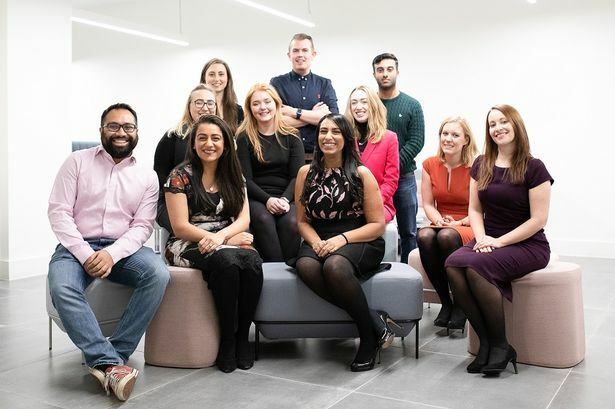 This year will see the 19th annual Birmingham Young Professional of the Year (BYPY) crowned in May, celebrating the rising stars of the city&apos;s professional services community. The 2019 organising committee is chaired by Kirn Dibra, risk and control manager at consumer credit firm Experian. Joining her are Gishan Abeyratne from BCL Legal, Matt Cockett from PSP, Greta Geoghegan from Digital Glue, Lucy Gray from Shoosmiths, Jordan Hollingsworth from Pinsent Masons, Chandni Kotak from Pinsent Masons, Katy Paddock from Colmore Business District BID, Azeem Qadir from BDO, Nicola Storey-Wood from Shakespeare Martineau and Jodie Tipper from East Village. Ms Dibra said: "I&apos;m thrilled to be chairing 2019&apos;s BYPY committee, after being part of the committee for the second year. "This year, we&apos;re welcoming a group of enthusiastic new faces to the committee, who are already bringing fresh and innovative ideas to the table which we&apos;ll be sharing soon. "BYPY is an opportunity to celebrate everything brilliant about Birmingham - our growth and development as a city, our talent and above all our people. "I can&apos;t wait to put on an incredible event to celebrate the best our city has to offer." The awards will celebrate achievement among under 35s across six categories - finance; HR, recruitment and training; legal; marketing and communications; property and construction, and technology. An overall winner will be chosen from these six to be crowned BYPY 2019. There will also be the aspiring talent category for 16 to 24 year olds and inspiring leader award which will recognise someone who has given exceptional service to the city and its business community. The awards are organised by business membership and networking body BPS Birmingham Future.